This is an original hand-painted model cel from the Hanna Barbera animated series, The Kwicky Koala Show. 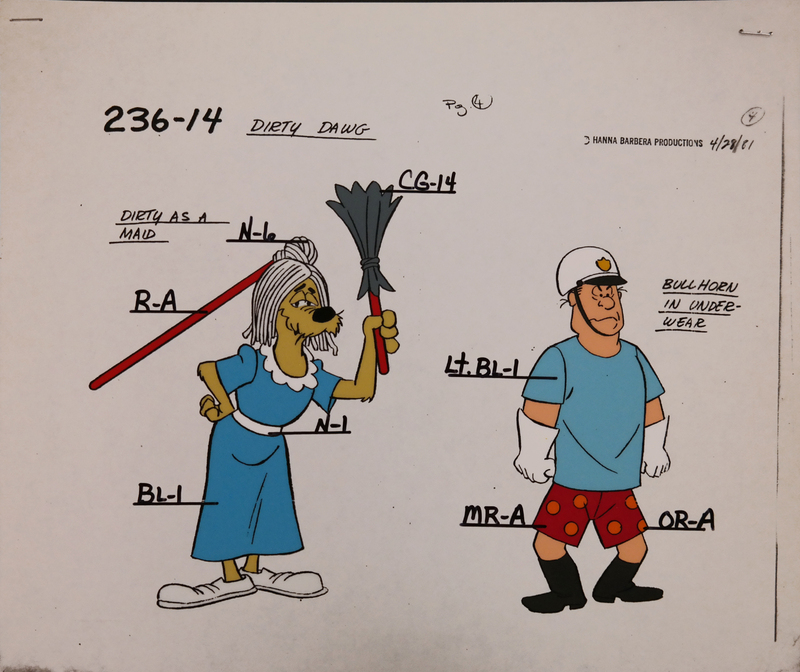 The cel features Dirty Dawg and Bullhorn and was created and used during the production of a Dirty Dawg segment of an episode. Model cels are created during production in the same manner as screen shot production cels, but are used for reference by the animators and ink and paint deparment to ensure consistent character design and color usage for characters in a production. The untrimmed cel measures 10.5" x 12.5" and the images measure about 6.5" x 9" overall.